Start your journey with us. Yamaha creates an alliance with training organizations that offer riding courses and instructional programs to fit your needs. Perfect your RIDE with us. We partner with training organizations that offer real-world training and advanced instruction. Enhance your street-riding skills by riding on the track, enjoy advanced one-on-one training, or participate in multi-day group classes. Nonprofit organization dedicated to making motorcycling safer and more enjoyable by ensuring access to lifelong quality education and training for current and prospective riders, and by advocating a safer riding environment. If you complete an MSF training course or state authorized rider education course and buy a Yamaha Street, Dual Purpose, Off-Road motorcycle or Scooter, you can get an incentive check for up to $100 paid directly to you. Learn more about this offer. Learn more about this offer. MSF®-certified coaches teach basic riding skills and responsible riding practices at approved training sites throughout the country for novice to experienced riders looking to increase their skills on or off-road. Led by highly respected Yamaha Off-road Racer and Six-time AMA® Hare Scrambles Champion, Jason Raines, the Raines Riding University offers Full Circle Training Camps throughout the country for dirt-bike riders wanting to improve their skills both on and off the bike, including overall lap times, by learning advanced skills used by the pros. 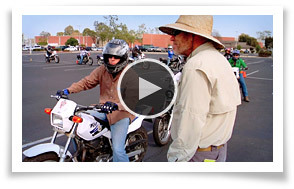 Riding skills and balance improvement courses taught onboard a fleet of Yamaha off-road bikes. For experienced riders and racers only: Street riders, roadracers, flat trackers, motocrossers, and Supermoto. Off-road dirt bike training school and flat track riding school offers five different programs from beginner to expert rider onboard Yamaha dirt bikes. The Road America Motorcycle School is one of Wisconsin's premier cycle-training facilities, educating thousands of two-wheel enthusiasts in a variety of courses since 2005. Courses include basic motorcycle and scooter operation, which include real world street skill techniques. Taught by award-winning instructors who are experts in adult learning practices these courses strive to make each participant a safer more confident rider. Courses are available April through November in a variety of day, evening, and weekend formats using the latest Yamaha motorcycles and scooters.. Working in conjunction with the world class New Jersey Motorsports Park (NJMP) in Millville, NJ, lead instructors Nick Ienatsch and Ken Hill along with heroes Scott Russell and Larry Pegram will bring their unique philosophy to many new students, while imparting skills that increase the joy and safety of motorcycling. 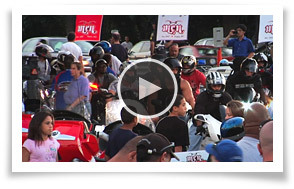 Non-profit, 235,000-member organization with an unparalleled 75-year history of pursuing, protecting and promoting the interests of the world's largest and most dedicated group of motorcycle enthusiasts. Come experience the fun & excitement of riding on a closed course! Join Yamaha track day partner Sportbike Track Time for the most exciting and fun way to ride your motorcycle. We guarantee that a Sportbike Track Time event will be unforgettable. TrackDaz LLC caters to all skill levels providing they have mastered the basic skills needed to operate a motorcycle safely and proficiently. Leading open track day provider on the West Coast enjoys a long-time alliance with Yamaha as their official Sportbike and premier sponsor. Look for Yamahas at all Z² events! Z² also offers novice, intermediate and advanced schools, all led by instructors onboard a Yamaha YZF-R1, YZF-R6 or FZ1. Their mission is to make the rider's day at the track as safe and fun as possible. Which Yamaha is the right fit for you? 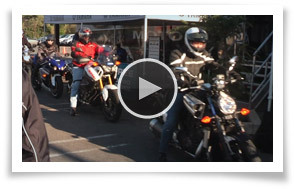 Find a Yamaha dealership near you that participates in demonstrations and find out! Yamaha Motorcycles available for demo: FJR1300, FJ-09, FZ1, FZ-07, FZ-09, FZ6R, Super Ténéré, YZF-R3, Bolt, Raider, Stryker, V Star 250, V Star 950 and V Star 1300. Please contact the dealer prior to visit to ensure model is available. Attend a Yamaha event in your area. Meet other riders who like what you like, get the scoop on riding clubs, learn more about your next Yamaha, or just sit back and enjoy the RIDE! INSURANCE Need Motorcycle Insurance? Get started with a FREE QUOTE, or call 855-283-1705.